Tuition Information: Undergraduate residents $8,091, nonresidents $18,915 for the 2012 – 2013 school year. Tuition does not include fees of $1,096 per year. 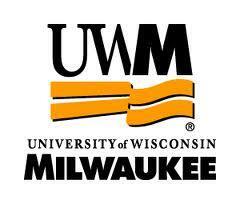 Graphic Design students at the University of Wisconsin-Milwaukee must complete core coursework in design, typography and graphic design and pass a portfolio review in order to be admitted to the major. They continue with courses in experimental typography, web design, motion graphics, multimedia design, design methods, art history and advanced design. All students create a portfolio and senior exhibition. Inter-Arts students must complete courses in drawing, 2D and 3D concepts and digital arts and pass a portfolio review to continue in the major. Successful students concentrate on computers and music, 2D design, video, analog and digital synthesis, web design, media arts, dynamic typography, physical computing, programming for artists and interactive installation and performance. All students complete junior and senior projects and create a senior exhibition. Studio Art students who choose the Digital Studio Practice concentration focus on drawing, 2D and 3D concepts, digital arts, digital studio practices, design, art history, typography, digital printmaking, advanced digital art, video and audio strategies, programming for artists and interactive installation and performance. All students complete a senior practicum and create a B. F. A. exhibition. A portfolio is required with the application to Art and Design programs. All students must purchase an Apple MacBook Pro laptop computer. Fees will be assessed for each art class taken above the 100 (introductory) level. Art, merit and need-based scholarships are available. Out-of-state students whose parent or grandparent graduated from UW-Milwaukee may be eligible for a "Return to Wisconsin" tuition discount. Minnesota residents may apply for tuition reciprocity. Residents of Illinois, Indiana, Kansas, Michigan, Minnesota, Missouri, Nebraska and North Dakota may be eligible for Midwestern Student Exchange Program tuition discounts. Residents of Wisconsin are encouraged to apply for state-sponsored grants and scholarships.